Target location for the morning was Richmond Park, Despite it’s well documented as a photographers dream location, this would be my first visit. In hindsight, it really is beautiful and vast. I suspect I’ll be spending much time there in the years to come. As part of the planning for the day, I received loads of great advice from my Facebook pals,: Andy, Angela & Gail for directions and top advice in the reminder to take drinks and snacks! Keep the camera in M (manual) mode. Equipped with the Sony A65 body and Tamron 17-50mm f2.8 zoom lens; plus a Tamron 70-300mm telephoto in the bag, I figured no more would be needed for a good morning stroll, with the possible addition of hat, scarf and gloves to protect me from what felt like arctic conditions. For the sake of weight the tripod was left at home. Next time, it will certainly be included, I would have loved to take some brackets for HDR processing, something which didn’t work at all handheld. If not a full tripod, I may consider a monopod in the future, particularly with the 300mm zoom, the damn thing was shaking around so much, virtually all my shots of deer from distance, came out blurry and fuzzy. A shame really. One point that I can now reflect upon, is I quite unconsciously kept the camera in full manual mode the whole time. The thought of using the automatic modes never occurred to me. I think this a sign of getting comfortable with the relationship between ISO, Aperture and Shutter speed. I suspect I will not have the same confidence next week, with a flash gun attached! More on that another time, but my next update could well include Zombies! As is often the case, I got home, downloaded the 160+ snaps into the Macbook and immediately started going through them. Three stood out straight away and with a few tweaks in Lightroom, the shots below were online and getting loads of positive feedback from my Facebook friends by lunchtime. I’ll give the rest a week or so and have another sort through, it’s always possible you miss things during that first ‘emotional’ evaluation of a new set of photos. 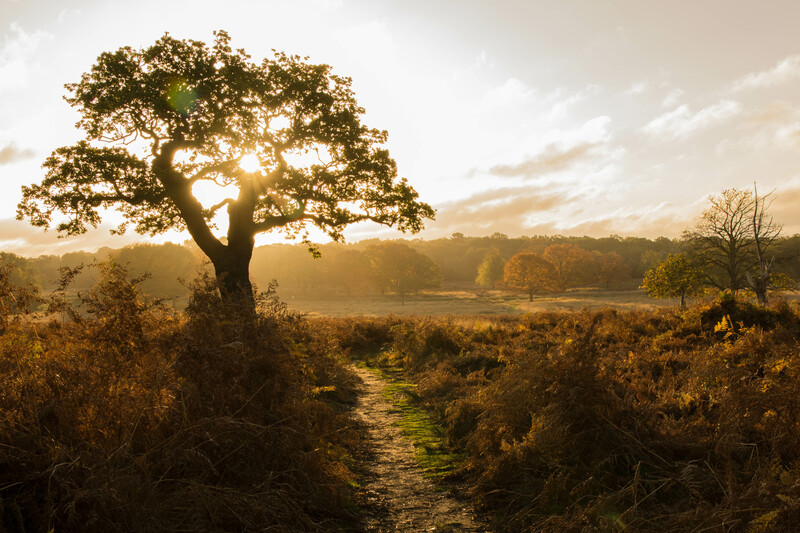 2 comments on "Richmond Park at Daybreak"